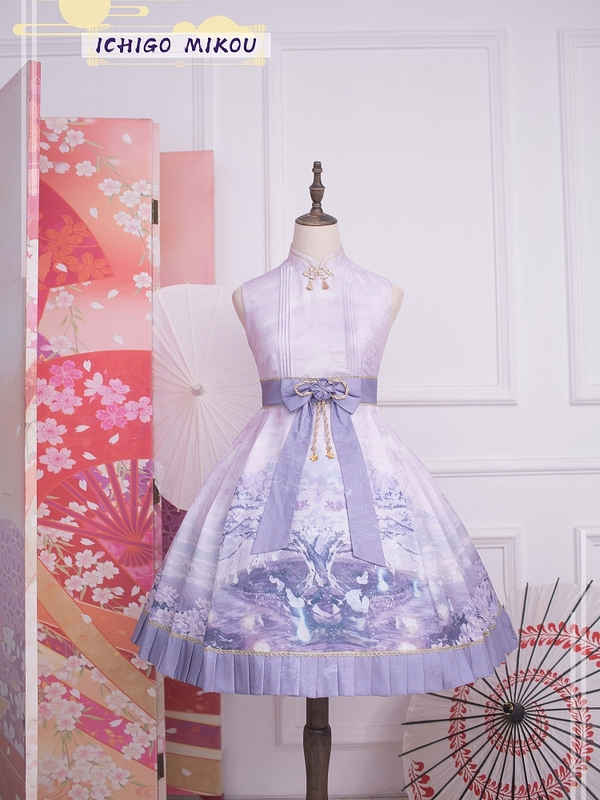 Features: A JSK contains a detachable bowknot at the waist and features cherry blossoms and water lights' prints. Mandarin collar, mid waist and pleated hemline. Back zip and NO shirring and NO lace-up back. 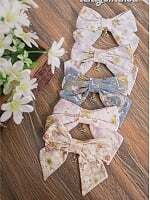 Attention: The JSK and the bowknot only, others are not included.